Karhunmäki — Bear's Hill in English — is a new habitual residence area in the city of Joensuu, Finland. This site will introduce this beautiful area to you, offering information of the history, and the location and the population of the area. In addition, you will find links to further information of Karhunmäki, like the Official Real-Time Temperatures of the area and the Expected Population Model of the area. Furthermore, you can read the exciting story of the Male Bear of Karhunmäki, who currently inhabits the Karhunmäki Headquarters with his brood. There is also a site for the very fast (and furious) Team Karhunmäki, who currently holds the Standing One Mile speed record in Karhunmäki. For the truly Karhunmäki minded people, there is an option to take a part in the newly launched Karhunmäki Neighborship Program, which has already gained a stunning media attention in the social media. 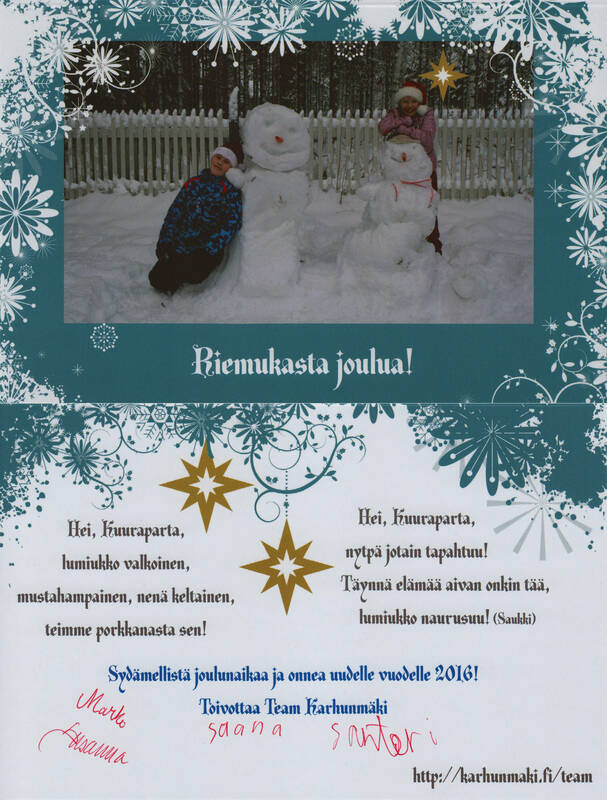 Karhunmäki Headquarters are taking care of the promotion of Karhunmäki interests for example by writing opinion pieces, lecturing, and taking part in protests. Team Karhunmäki has actively traveled around the globe — both on the East Side and the West side. Follow Team Karhunmäki and its Headquarters on the social media to find out more!